This fixed-speed, single tabber gives you all the advantages and cost savings of high-speed tabbing in one compact and economical unit. Every tab – paper, translucent, or clear – is a tight, secure seal, which helps to meet USPS® requirements. 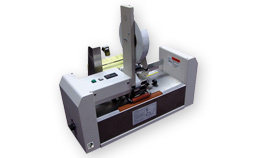 Its exceptionally large 17.0“ material width capacity is unmatched in the industry.